The University of Northwestern Ohio is an entrepreneurial, private, not-for-profit institution of higher learning, preparing students for productive careers in the business, corporate, and technological communities. We offer practical, hands-on programs that can help students achieve their professional and personal goals. At UNOH, we continually strive to provide the highest quality education and teaching excellence by enhancing our accreditations and certifications. Our faculty is required to have earned a PhD and to maintain research to constantly improve their curriculum and departmental status. UNOH is one of the most affordable private universities in Ohio and our students receive over $440,000 in scholarships each year. 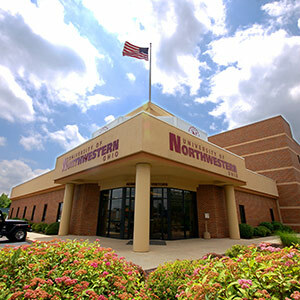 University of Northwestern Ohio is regionally accredited by the Higher Learning Commission and a member of the North Central Association of Colleges and Schools (ncahlc.org). UNOH is approved to offer master’s degrees by the Ohio State Board of Education.